I began practicing yoga about fourteen years ago and teaching for nine. I am very passionate about the practice and helping others incorporate it in their lives. 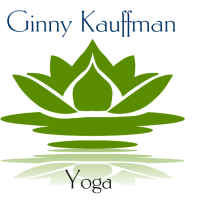 I have taught classes and workshops at various Portland gyms, yoga studios and for private clients. I am the prior owner and director of Exhale Yoga Studio in the Alberta Arts District in Portland, OR. The class styles I currently lead are Hatha, Restorative, Deep Stretch, Stand Up Paddleboard (SUP) Yoga (seasonal), as well as a fun new fitness class called POP Pilates®. My personal practice is constantly deepening and growing and I enjoy taking classes and workshops and learning from other teachers. The teacher should always be a student! I'm on my own path as well, and can only share and teach what I know and have learned. My teaching reflects the evolution of my own practice and learning. In my spare time (in addition to yoga) I enjoy Zumba, Stand Up Paddle Boarding, hiking, travel, reading, live music, vegan eating and cooking, and spending lots of time with my husband and friends in and around Portland.